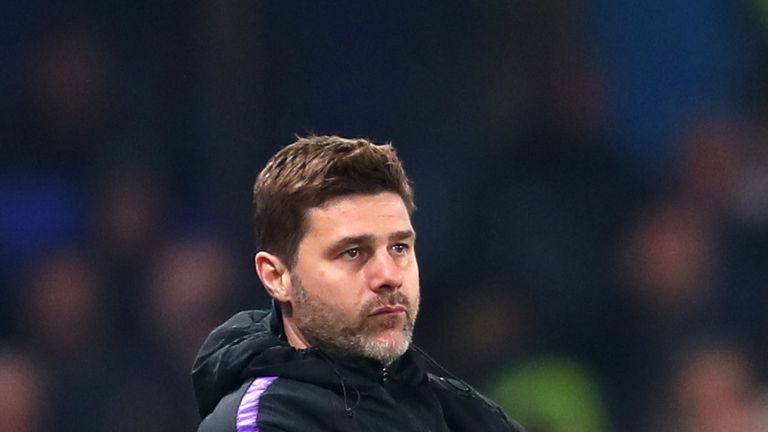 Mauricio Pochettino criticised Tottenham's failure in front of goal. Mauricio Pochettino was unhappy with Tottenham's lack of firepower after failing to register a shot on target in the 2-0 defeat at Chelsea on Wednesday. The defeat marked the first time Spurs have not had a shot on target in the Premier League under Mauricio Pochettino, in turn denting their slim title hopes. 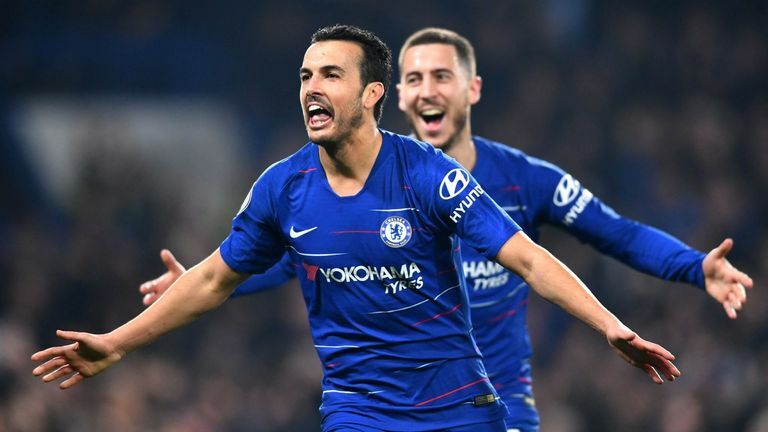 Pedro's strike and Kieran Trippier's bizarre own goal gave Chelsea the victory, and Pochettino was disappointed with Spurs' lack of creation. Asked what Spurs were lacking, Pochettino said: "Points. Shots. We didn't shoot, and we were not consistent enough. "It was an even game, but we didn't create too much. Them also. They only had one shot on target. The other was the own goal. I think it wasn't a great game. "I was disappointed because it was another defeat, but we have to be sure we are ready for Saturday, and another tough London derby." Pochettino was looking for a reaction after the 2-1 defeat by Burnley on Saturday, but it never came as his team struggled against a physical Chelsea side. "Chelsea is a difficult place to play, as history shows. I think we won last season here after 27 years. Today we competed, but maybe we didn't compete at our best. "We didn't show the quality we have, for different reasons. We are in a period now that looks like started against Burnley - up to Burnley, the team were getting a lot of praise. But two games in a few days, two defeats, and very disappointed. "But it's about being calm. It won't change my assessment of the players. We need to support them, lift them and help them to compete on Saturday." With Arsenal up next at Wembley on Saturday, and a five-point gap between the two sides, Pochettino insists Spurs should be happy with their position in relation to their rivals at present. "Everyone should have said that eight or 10 months ago, to be, today, with the possibility of playing against Arsenal at Wembley with the gap at five points. The pressure is on them, not only us. Them too, surely."